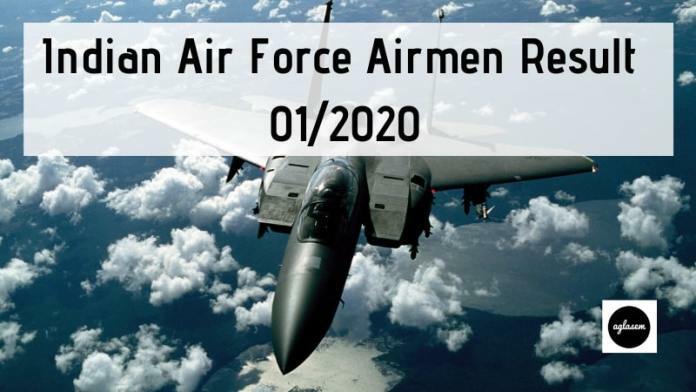 Indian Air Force Airmen Result 01/2020 – Indian Airforce has released Indian Air Force Airmen Result 01/2020. Group X and Y result has been released at candidate login, on airmenselection.cdac.in. The list of the candidates shortlisted for Phase II has been also released. Candidates can check the result of Indian Air 01/2020 from the link below. The details needed to check the result are e-mail id and password. The qualifying candidates of Indian Air Force Airmen Result 2020 will now be called for the Phase II of the examination. Check more details on Indian Air Force Airmen Result 01/2020 from this page. Latest: The Indian Air Force Airmen Result 01/2020 (Group X and Y) has been declared. The list of the candidates shortlisted for Phase II and admit card for Phase II and is also available now and you can get it from the link below. The IAF releases the scorecard of the candidates after the declaration of the result. The scorecard is also provided through the candidate login section on the website. The aspirants can check the schedule of the examination and result declaration from below. Click Here to Check Indian Airmen 01/2020 Result. Click Here to download list of the candidates shortlisted for Phase II Exam. Click Here to download Indian Airmen 01/2020 Admit Card for Phase II. Some of you are facing issues in checking the result. Try opening the website in incognito mode. However, if you are still not able to check the result, then use your mobile phone to check the result and admit card. The Indian Air Force will release the result for the phase I initially, the result will be released through the candidate login on the official website. The candidates can read the steps to check their result from below. How to check the Indian Air Force Airmen Result 01/2020? With the help of the following steps, the candidate can check the result of Airmen 01/2020 for group X and Y.
Click on the direct link has been provided here, which will be activated when the result will be announced. Click Login for 02/2020, under Candidate tab. The login will look as shown below. Candidates will then have to enter E-mail Id and Password. Click on the ‘Sign-in’ button. 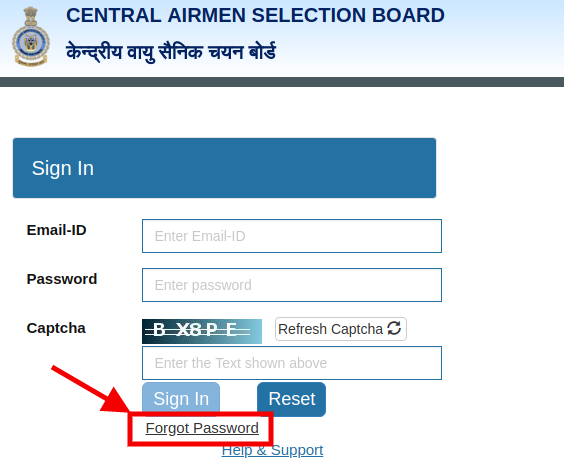 How To Check Airmen 01/2020 Result If Forgot Password? Many candidates forget their password, and then they face problems in fetching their result. But the IAF provides the solution, the candidates can generate a new password through the link in candidate login section. The below steps will guide you to get your lost password. At first Visit official website, and click on the tab saying “Candidate”, a drop down will be shown. Here click on the link which says “Login Intake for 01/2020”. Or the candidates just click on the above link they will be landing to the same page. Here find the link which says “Forgot Password”. Now a pop will be shown and the candidates have to enter the Registered email id, Secret question (which chosen at the time of registration), Secret answer and captcha. Once answered either the password will be sent to the registered email id or candidates will be able to change the password. The candidates who will appear in the examination will be shown their score, after the declaration of result. The score will be displayed in the Candidate Login section on the official website. 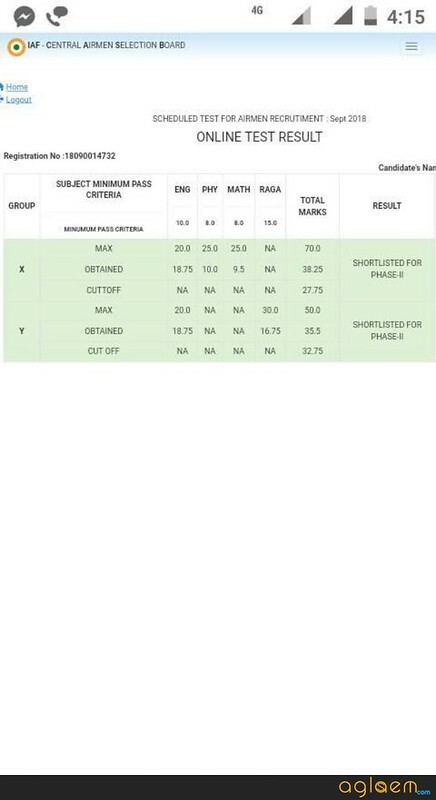 The scorecard contains the details of the candidates such as marks for group X and Y will be shown and cut off marks. The qualifiers of the Indian Airmen phase I examination will be called for the phase II exam, which is qualifying in nature. The candidates who will be selected for the medical examination which is further round in the selection process, will be notified by the IAF. The result of phase II will be released on the official website. The candidates who will appear in the exam will be able to check their result. The IAF will call the qualifiers of PFT, for the detailed medical examination designated Medical Board Centre (MBC) on a specified date. 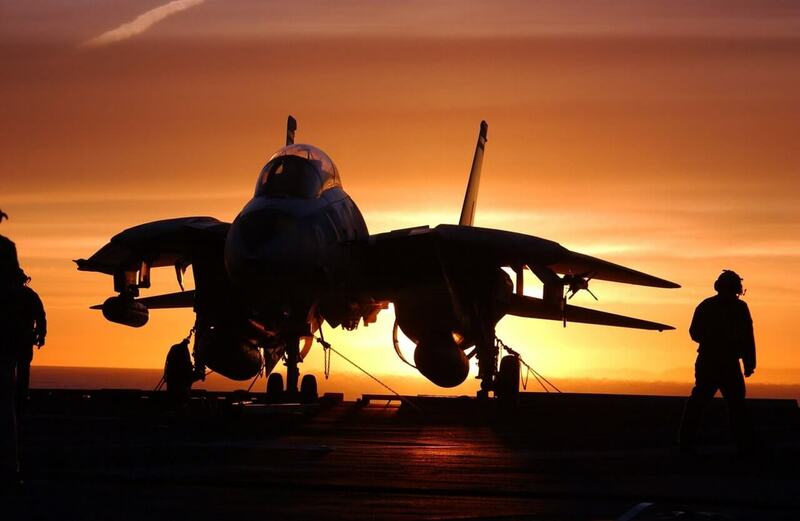 The exact center and date will be intimidated via call letter of medical examination, which will be made available at airmenselection.cdac.in. Medical Examination will be conducted by Air Force Medical Team as per IAF medical standards and policy in vogue on subject issue. The candidates who are found medically fit as per the norms published by the IAF are selected for the provisional selection. The IAF prepares the PSL when all the stages of the selection procedure get over. The base of the PSL is the marks obtained in all the stages and medical fitness of the candidate. The inclusion of name in the provisional select list (PSL) does not guarantee automatic enrolment. The IAF also release final enrollment list for finally shortlisted candidates. The final enrollment is strictly based on various grounds such as medical fitness, availability of vacancies, fulfilling the eligibility criteria when called for the enrollment. The validity of the psl will be 06 months from the date of display and will be applicable only for intake/entry 01/2020. The candidates whose names include the Enrollment list are finally selected. The initial tenure of the candidates after final selection is of 20 years which may be extended up to the age 5 years. However, the extension of the service period is subject to service conditions. Initially, candidates will be sent for a Joint Basic Phase Training (JBPT) at Basic Training Institute, Belagavi in Karnataka. After successful completion of the JBPT, the IAF allocates the candidates for different trades, sent for trade related training of specified durations which will include security training. The candidates should note that termination of training is entirely in the hands of IAF, the training can be terminated at any time if the trainee fails to achieve the required goal which will be assigned to him. 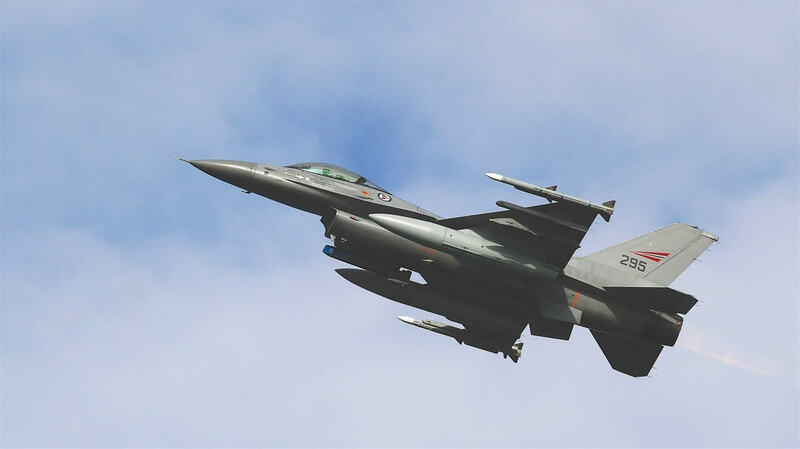 After successful completion of all stages of training, the Airmen will be deployed on jobs as per their allotted trades and their trades will not be changed on any grounds.